In There’s No Place Like Space!, kids will learn about our solar system and more. I’m a big fan of The Cat in the Hat storybook series. They are fun, and filled with useful facts and information about our world. For example, if your kids love to learn about the desert and rain forest, and the different animals and plants that live there, you should check out In the Wild! Learning Library Collection. It consists of four storybooks suitable for kids ages four and up. Today, I’d like to highlight another Learning Library Collection starring The Cat in the Hat, called Where Are We? The new set of books will let your kids explore the outer space, the desert, and the North and South Poles. The first book in this collection is called There’s No Place Like Space! It covers things you need to know about the sun, the moon, our Earth, and other planets in our solar system. You will also learn about the other stars in the universe and how you can use a telescope to see farther into space. In the second book called Why Oh Why Are Deserts Dry?, you will explore the different kinds of deserts around the world, from the hot Sahara and dry Sonoran, to the bitter cold Gobi. You will learn how cactus and different kinds of animals can survive despite the lack of water. Ice is Nice! is the third book in this collection. The book will take you on an icy-cold expedition to the North and South Poles. You will learn how the way our earth is tilted while it’s moving around the sun causes the North and South Poles to produce huge amount of ice. The book also tries to increase your awareness of the recent climate change that have caused the ice in the North Pole to melt. Instead of taking you on another exploration, the last book teaches you how to use the map as a guide for your next exploration. Called There’s a Map on My Lap!, the book uses different types of maps, from regional maps to the world globe. You will also learn to read topographic maps and to divide a map into grids for easy referencing. The Cat in the Hat books use in-story illustration to help kids learn new words. All the books inside the collection are suitable for kids ages four and up. You can tap an object to see how it’s written and hear how it’s pronounced. And if you tap on the bold/colored words, you will see a popup with more information about them. For example, you can learn about new terms such as dune and shrill. You can also learn more information about how cactus survives and grows in the desert, and how to ice floes are formed. You can even record your own narration and insert your own explanation of the terms used in the stories. Kids will learn that the polar bear is actually a black bear with thick and dense white fur. 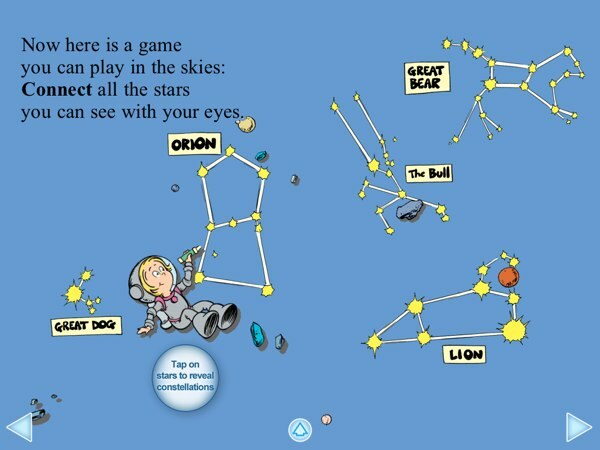 Like other Dr. Seuss book apps, the stories feature rhymes and interactive elements. It’s a great approach to keep kids engaged in reading. It is interesting to note that the print edition was first released in 1999. However, the apps have been updated with the latest information. For example, Pluto is no longer listed as a planet. Instead, the app declares Mercury as the smallest planet in our solar system. Kids can also learn many fun facts from the stories. For example, they can discover new animals such as honeypot ants or kangaroo rats. They will also learn that the polar bear is actually a black bear with thick and dense white fur. In There’s a Map on My Lap!, your kids learn how to read the maps by dividing them into grids. Where Are We? Learning Library Collection is a set of four storybooks that allow kids to explore the world in a fun way. They are suitable for kids ages four and up. The rhymes and interactive elements make reading fun. If you’re looking for books to help your kids learn more about our world, I’d highly recommend this collection.